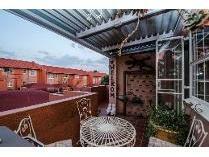 First floor unit boasting two bedrooms, two fully tiled bathrooms. Kitchen open plan to lounge and balcony. Shade net carport for one vehicle. In a secure complex, with a guard house. Regrettably no pets. 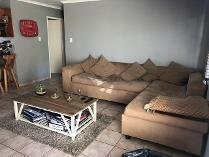 Located in the heart of meyersdal, this well situated ground floor unit welcomes you with warmth and flair. The unit offers a very modern kitchen with black granite tops leading onto the lounge and dining area, the balcony leads of the lounge. The 2 bedrooms are nice and spacious with one en-suite bathroom. There is one carport and one open parking space with ample visitors parking. 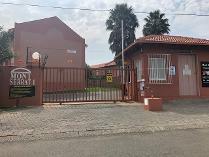 This very secure complex is close to all shops, petrol stations and has easy access to r59 highway. For an exclusive property viewing call adri today. Emergency services: south african national blood services, optimed clinic - netcare, fire station - alberton, alberton - medicrossrecreation: virgin active - meyersdal, curves - meyersdal square, perfect balance personal training studio, frenzee pilates studioservices: sasol, meyersdal veterinary clinic, total - randhartshops/entertainment: barry pharmacy, woolworths food - meyersdal square, nando's - meyersdal, debonairs pizza - meyersdal squareschools: sparrows private school, kip mcgrath education centre, laerskool randhart, alberview primary school. This modern ground floor apartment offers 3 bedrooms 2 bathrooms, open plan modern kitchen and open plan lounge. Its boasts of a beautiful garden that is so welcoming for the family to relax on a small patio and enjoy cool breeze. The unit has one carport and also there is a communal pool. There is 24 hrs security and its close to all amenities, meyersdal shopping center, mall of the south, hospital and easy access to all high ways. Not pet friendly. Act quickly this one wont stay for long, you can schedule for a exclusive viewing with me directly!!! 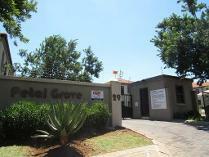 This neat, well maintained unit is located in the sought after suburb of meyersdal in the south of johannesburg. The location of this unit screams “convenience” as it is surrounded by all major amenities which include shopping malls, major petrol stations, schools, family restaurants, medical centrums and hospitals. This is the perfect home for a young couple or family. As you enter through the front door, you are welcomed into an open plan kitchen dining room and lounge. The large windows allows for loads of natural light to enter the unit and making it sunny, light and cozy. Enjoy beautiful summer days on the spacious patio. This unit offers 2 sunny bedrooms that can easily accommodate a king size bed, with built in cupboards. Another added bonus of this property is that all the windows are fitted with blinds. The bathroom offers loads of space with bath and shower. Don’t miss out on this wonderful opportunity! call me today for a private viewing. The advertised price on this property is negotiable.